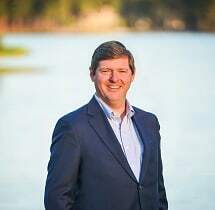 Bryan S. Hawkins is an attorney who practices exclusively in the area of Georgia Workers' Compensation representing injured employees before the Georgia State Board of Workers' Compensation. Having dedicated his entire career to workers' comp., Mr. Hawkins has handled over 2000 claims, and is a former insurance defense attorney having previously worked with the defense firms of Gardner, Willis, Sweat & Handelman, LLP and Hall, Booth, Smith & Slover, PC in Atlanta, Georgia. Bryan returned to his hometown of Augusta in 2009 to open his own law firm representing injured workers. Bryan brings to his practice a wealth of knowledge and experience in the area of Georgia Workers' Compensation that few attorneys can provide. His goal as an attorney is to provide his clients with compassionate, aggressive, and experienced legal representation in the area of Georgia Workers' Compensation.